Charlie didn't get to vote in the 2016 election but anticipates having to grapple with its outcome for years. The 17-year-old Massachusetts native identifies as non-binary, a term for people who don't identify their gender as either male or female. After Donald Trump was named president-elect last week, Charlie used Twitter to connect with a lawyer offering pro bono advice to trans people. A Boston area lawyer communicated with more than 70 trans people in private direct messages on Twitter over the past five days. One issue worrying trans people, the lawyer told CNNMoney, is the fate of a federal policy that allows people to change how their gender is identified on their passport. Under a rule adopted by the State Department when Hillary Clinton was secretary, transgender people can change their passports if they provide a physician's certification that they received "appropriate" treatment for gender transitioning. The federal passport rule is important because some states still require reassignment surgery to change state IDs like driver's licenses. And not all trans people can afford or want surgery. Updated gender IDs prevent trans people from having to explain their own identities when doing basic things like traveling or undergoing background checks. "We want to be seen as who we are," one 38-year-old trans person who sought out legal advice on Twitter told CNNMoney. There's a lot of uncertainty over what the Trump administration could do to this federal policy, and lawyers are making themselves known online and offering up free counsel to trans clients who haven't yet changed their passports to do so soon. The Trump transition team did not return a request for comment. Another issue causing concern in the trans community: the fate of the Affordable Care Act, which protects transgender people from discrimination in health care coverage. The Trevor Project, a crisis intervention and suicide support organization for LGBTQ youth, said outreach to their hotline was up 124% following the election. Steve Mendelsohn, deputy executive director of the Trevor Project, said the organization is fundraising to expand the availability of its text hotline. While its phone line is always available, text support is only available twice a week. A hashtag (#TransLawHelp) and website surfaced soon after the election to help people seek legal advice. Some people are helping to relieve trans people of financial burdens associated with paying for new passports and name change petitions, which can cost hundreds of dollars. Randi Harper, who advocates against online abuse, stressed the importance of protecting online privacy. "This is a group that is a target for doxxing and campaigns of abuse," she said. "Because everyone is in a panic and grasping for hope, I think it would be easy to forget to exercise safety practices." These practices include verifying a lawyer is legitimate before exchanging personal information online. For young people like Charlie, families don't always offer support, so seeking help online can be comforting. "Parts of my family did vote for Trump," Charlie said. "I'm upset with them because that is a matter of my personal health. They aren't the best at supporting me in all of this." 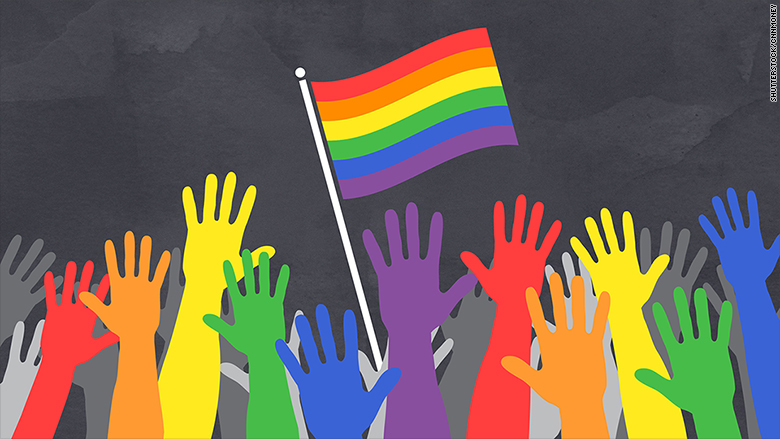 LGBTQ rights are just one of many issues that teens have addressed in email outreach to The Validation Project, a global nonprofit that helps teens give back to their communities. The organization is run by 18-year-old Valerie Weisler, who said more than 200 teens have reached since Trump was elected. "I'm scared I will not have choice over my reproductive health," wrote one young woman. "I am afraid sexual assault will be normalized. ... I'm scared that as a Jewish person this will make anti-Semitism more mainstream." Charlie said the fear of the unknown has left the trans community anxious. "There are very real lives hanging in the balance here," Charlie said. "There have always been hostile people, but a lot of [them] are now emboldened to harass trans people and people of color."